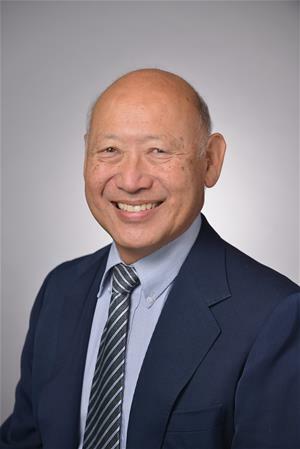 Dr. Kenneth Abe received his Doctorate in Dental Surgery at the University of California, San Francisco Medical Center where he graduated in the top 10 of his class. He went on for his advanced training in Periodontics at the USC dental school which he completed in 1979. He returned and taught Periodontics in both the undergraduate and graduate clinics for 15 years. Dr. Abe specializes in Periodontal Microsurgery, Minimally Invasive Surgery and Computer Guided Flapless Implant Placement. Our objective is to provide the highest quality of care, emphasizing minimally invasive tritiument. The objective of Minimally Invasive Surgery is to limit incisions and the surgical field to minimize trauma in all procedures. 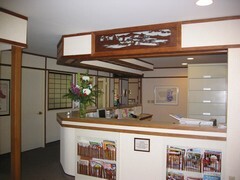 Our goal is to make your visit as comfortable and painless as possible. We are a Periodontal practice devoted to saving your teeth, by treating gum disease, replacing missing teeth through dental implants and restoring and enhancing the natural beauty of your smile We use conservative, state-of-the-art procedures that are designed to provide you with the highest level of periodontal health possible. A standard of excellence in personalized periodontal care enables us to provide the quality periodontal services that our patients deserve. We provide comprehensive treatment planning and follow strict standards to ensure your treatment and/or surgery will go smoothly and comfortably while providing you with the results you desire. Performing gum surgery utilizing PeriodontalMicrosurgery allows us to detect many problems not apparent to the naked eye. This results in better outcomes for you with the added bonus of faster healing with more comfort. Dr. Abe was one of the first in the nation to routinely place dental implants utilizing CT computer guided implant placement which delivers the highest degree of accuracy and safety in implant placement available today. CT computer guided implant placement allows placement of dental implants and bone grafts utilizing Minimally Invasive Surgery. The goal is to make your experience as painless and comfortable as possible. Since 1993 Dr. Abe has routinely placed dental implants utilizing "flapless surgery" which requires no sutures. This results in very little or no post-operative trauma. As a practice, we are true believers that preventative care and education are the keys to optimal dental health. We strive to provide “dental health care” vs. “disease care”. That’s why we focus on thorough exams – checking the overall health of your teeth and gums, performing oral cancer exams, and taking x-rays when necessary. We also know that routine cleaning, flossing, and fluoride are all helpful components in preventing dental disease. Not only are we focused on the beauty of your smile, we’re also concerned about your health. A review of your medical history can help us stay informed of your overall health, any new medications, and any illnesses that may impact your dental health. We know that excellence in performing all periodontal procedures is derived from both education and experience. We strive to keep current on the latest techniques and standards so we can provide our patients with the safest treatments and procedures with the most optimal results. We also know that surgery, if needed, is never routine, no matter how many thousands of times we have performed such procedures. We never take for granted that you have placed a great deal of confidence in us. Safety, sterilization and infection control are of utmost importance to us. To protect our patients and ourselves, we strictly maintain sterilization and safety standards to ensure you are protected at all times. Virtually all implants are placed utilizing 3-D Virtual Computer Planned placement and Precision Surgical Guides which assures the greatest safety and precision planning in implant placement to assure the best result for you. Building a foundation of trust by treating our patients as special individuals is vital to our success. We understand how uneasy some patients may feel about their dental visits, and how we can make a difference in providing a relaxing and positive experience. Our entire team is dedicated to providing you with excellent, personalized care and service to make your visits as comfortable and pleasant as possible. That is why we perform Minimally Invasive Surgical Procedures to minimize trauma and encourage faster healing. Whatever we can do to make your experience with us more comfortable and pleasant, please don't hesitate to let us know. Thank you for taking time to visit our website. We look forward to serving you.